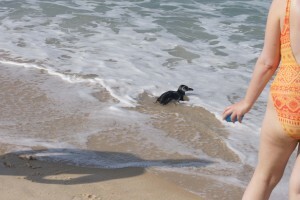 This June, along Rio de Janeiro’s famed Ipanema Beach, I witnessed a lone starved baby penguin, far off track in search of food, warmth and rest. This was a particularly interesting find, since the Rio+20 Earth Summit was happening only a few miles away. The juvenile penguin I saw was likely starving to death and headed ashore because it was cold and wanted to be more comfortable and rest, according to University of Washington Conservation Biologist Dee Boersma. “Penguins are good indicators of ocean health because they depend on ocean water without petroleum and abundant small fish, so if there is pollution or few fish, penguins will be among the first to come ashore and indicate the problem,” said Boersma. 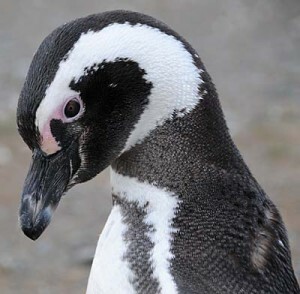 So, although the birds showed no obvious signs of death, the continued and rapid decline in ocean health from human causes – such as overfishing, ocean pollution, oil spills and climate change – is putting the Magellanic penguin populations at risk. And, clearly this is not a natural cause of death.